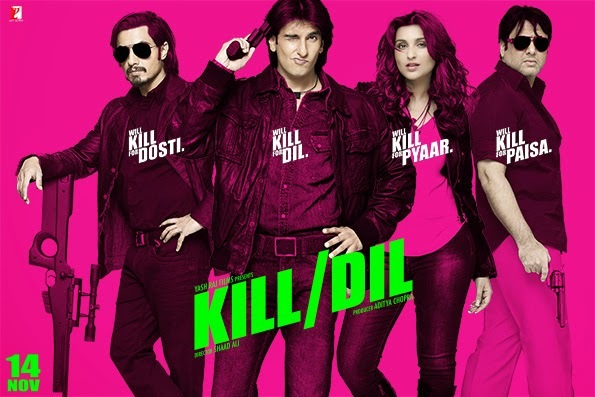 Kill Dil is the upcoming Bollywood movie directed by Shaad Ali. Produced by Aditya Chopra under the banner of Yash Raj Productions. The movie features Govinda, Ranveer Singh, Ali Zafar, Parineeti Chopra. The music and BGM of the movie is done by Shankar-Ehsaan-Loy. The movie is scheduled to release by 14 November 2014.